If you see Steve Taylor, the Mammoth Snowman, out on the hill, you’ll recognize him by his trademark plaid beanie. If you’re lucky, you might even get a “woo hoo!” out of him. In a town built on a carefully crafted image of bluebird powder days, picturesque corduroy ski runs, and poster-perfect people recreating in the outdoors, Taylor’s take on Mammoth is refreshing—he’s clearly stoked on the mountain lifestyle, but he doesn’t pretend it’s all backflips into Hangman’s. 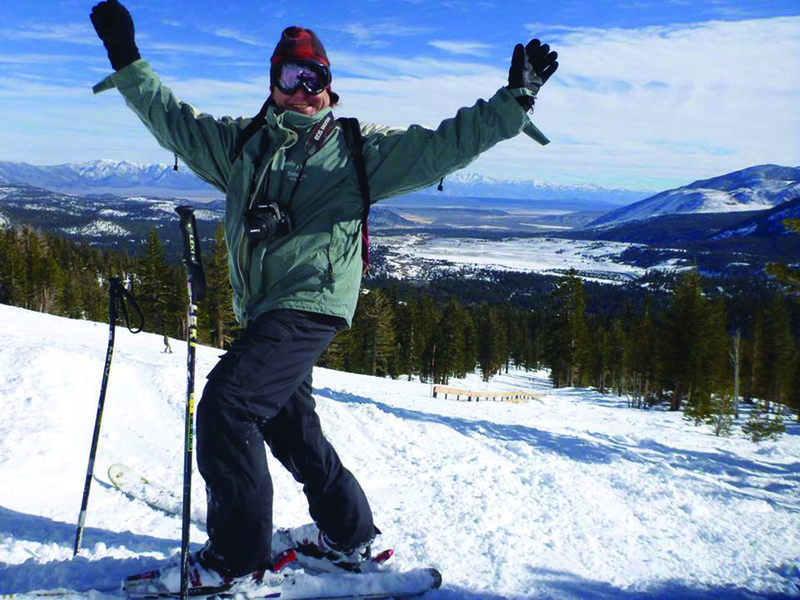 Taylor has gained a following of admirers grateful for his honest, authentic representation of conditions at Mammoth Mountain and its surroundings. He’s a tell-it-like-it-is kind of guy, and his fans appreciate that. His enthusiasm is palpable in his social media posts and the videos he features on his website—all done in a homegrown, low-fi style. Taylor’s website, www.mammothsnowman.com is far from the polished image one finds on Mammoth Lakes Tourism’s [MLT] website, for instance. It can be a little grating for a grammar stickler, there are a few missing apostrophes and misplaced possessives, but that’s not really what Taylor’s fans are there for.